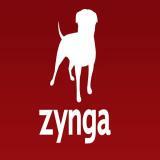 American social and media gaming firm Zynga Incorporated's portfolio of Facebook games is set to grow with the imminent launch of the new Zynga Elite Slots. San Francisco-based Zynga recently renegotiated its relationship with Facebook so that it could launch real-money gambling games while working with other social platforms and described Zynga Elite Slots is its ‘first synchronous, multiplayer slots game’. Zynga Elite Slots follows the earlier launches of the Zynga Poker, Zynga Slingo, Zynga Slots For Mobile and Zynga Bingo titles and sees players select an exchangeable pet avatar from one of 26 choices before collaborating with up to 150 people via quests in a virtual slot room in order to beat the game. Coming complete with storybook animations, the new Facebook title sees players advance through several themes and levels to defeat a boss by having a go on standard slot games. Zynga said that its new game offers ‘true social engagement among players’ by allowing these to log in and have a go at anytime with others. Zynga Elite Slots also comes complete with a progress bar showing where a competitor is at in a game in terms of their room while players can select how many paylines they wish to utilise. Set to launch initially via Facebook.com, Zynga Elite Slots, which features six themes each coming complete with their own voice-overs, graphics and 50 minutes of original music, could soon also appear on other social networks and sites.